So How’s The Skiing? 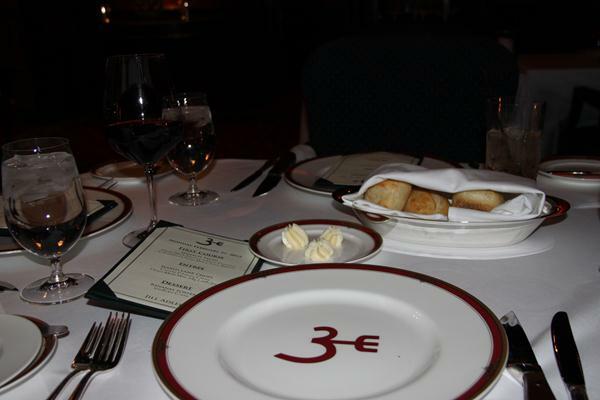 Have Three Forks Ranch All To Yourself - Ski. Play. Live. I’m home. Two and a half days of utter royal treatment and I nearly forget to mention the skiing itself. 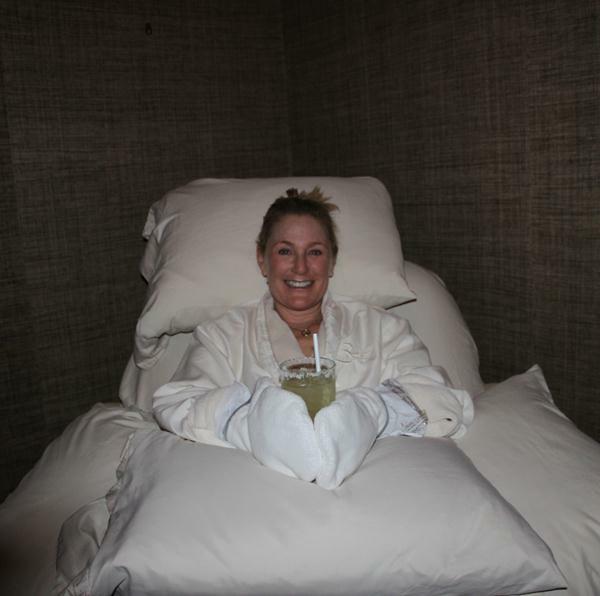 The pampering in the spa must have mushed my brain or something. 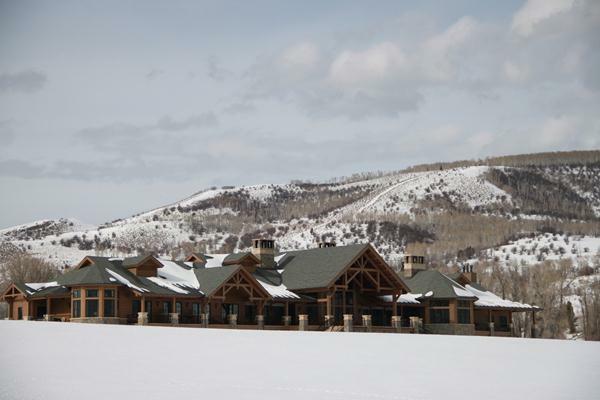 But then a friend asked me today as I detoxed from my whirlwind jaunt to northwest Colorado, “So, was it any good?”; not, “How was the skiing” or “was it good” but was it any good,” implying that since Three Forks Ranch was so ultra deluxe it couldn’t possibly have good ski terrain. 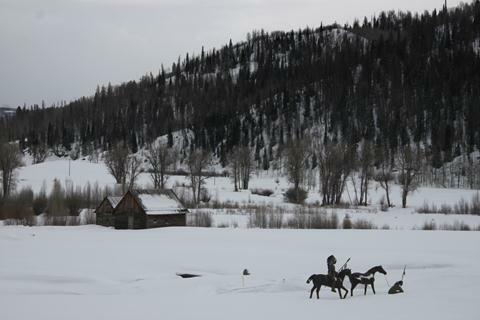 After all, Three Forks was originally constructed as a hunting and fly-fishing lodge. The short answer is: Yes, the skiing is good. 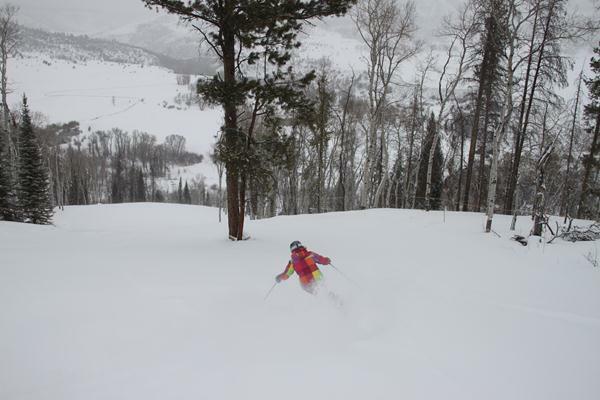 It’s as good as I’ve found with other cat operations (Park City Powder Cats, Powder Mountain, Grand Targhee) and, when you consider that the avalanche conditions were considerable and we had no beacons, it was damn good. We seemed to farm the same area of the 22-run mountain mostly because it would be impossible for the five of us to track it out. 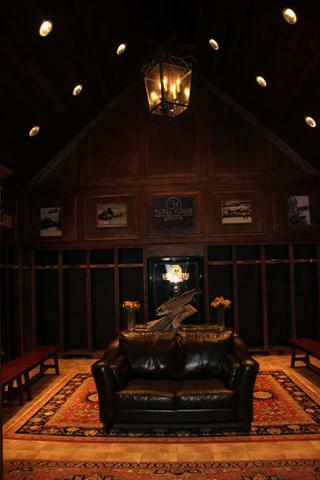 The Lodge can house up to 30 guests but not everyone will ski. They may snowshoe, or snowmobile, or ice fish, or relax in the infinity pool. You’re on your own time. You can even spend the whole day eating from one of the most delicious kitchens I’ve encountered in years. 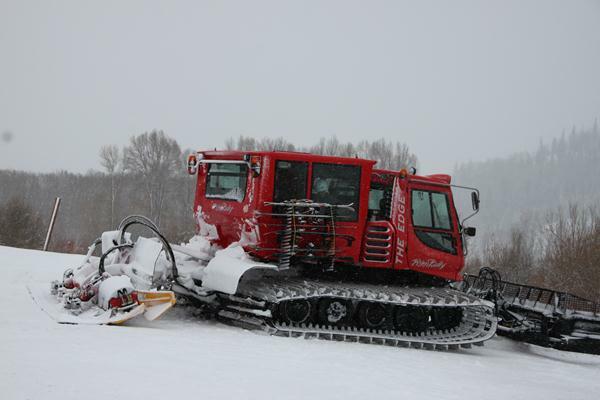 If you decide after your facial that you want to ski, a guide can run you up to the snowcat on his snowmobile. Done skiing and want to snowtube? A snowmobile can meet the cat and take you back to the lodge. There’s no delay or inconvenience the way it is at some places because the Three Forks Mountain in the Sierra Madres is a stone’s throw from the Lodge. 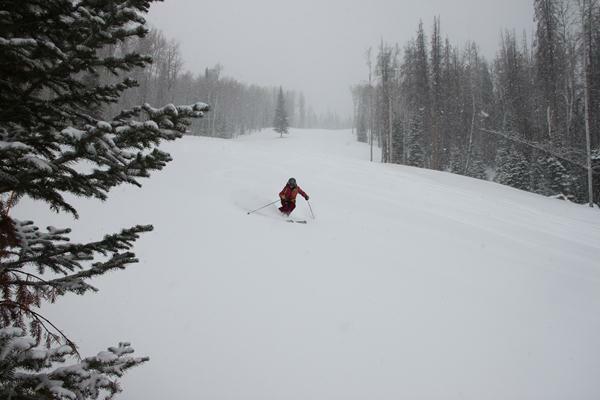 Of course for me, the day was all about the powder. 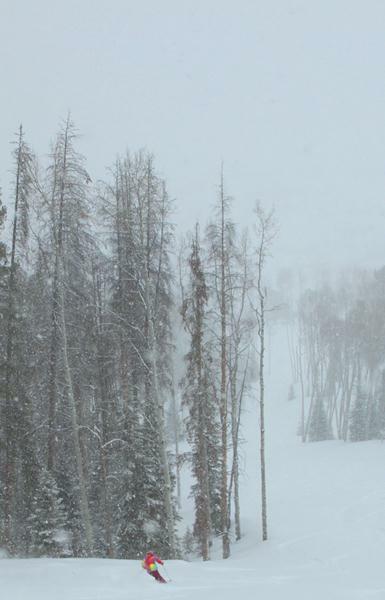 A normal snow year dumps about 400 inches in the Wyoming/Colorado area. The weak season took its toll here as well. I had been weeks since my last powder day. I went to bed seeing spots of dirt and woke up to a snowglobe. It had snowed all night and the slopes begged to be tracked. The cuff-deep snow felt creamy in places and sugary in others. 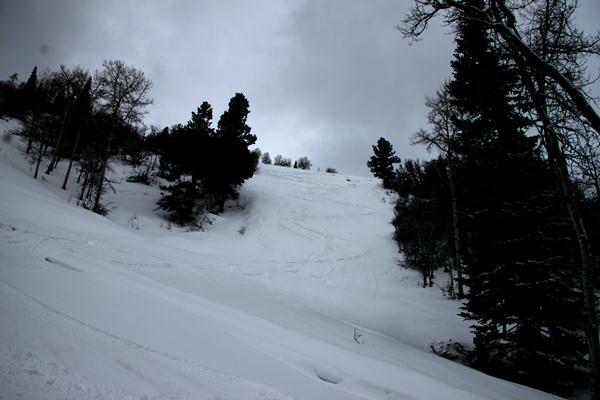 The wind on the peak compacted the open spaces but left enough loose to be skiable. We could feel bottom, however, as the day waned it went from breakable crust underneath six inches of fresh to feeling like a firm mattress under our skis. The Lodge operates three snowcats. In the evening they’re out smoothing a handful of private runs just in case there are beginners who want to take a ride or the avalanche conditions warrant that you stay on-piste. We climbed inside the eight-person Piston Bully and charged up the ridge. 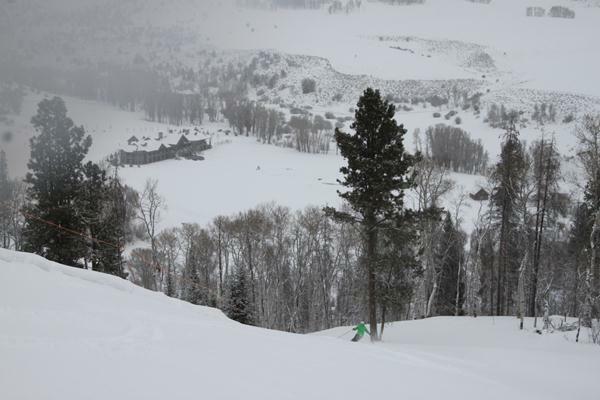 Owner David Pratt flew in a consultant from Deer Valley Resort to map out the trails last summer. Who better to direct construction than someone who understands what appeals to affluent intermediates? But there’s plenty to keep the experts smiling. 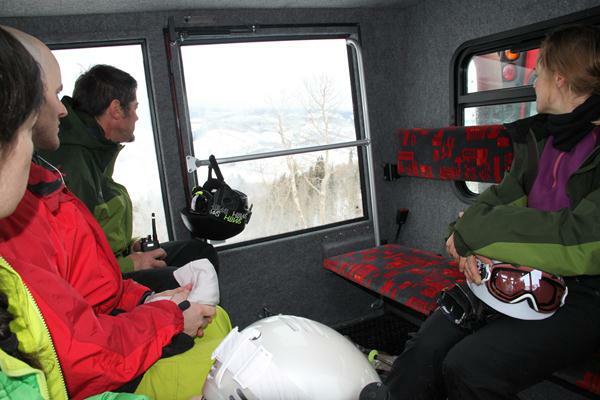 The skilled guides (from Steamboat’s backcountry contingent) keep the conversation and the guests flowing. 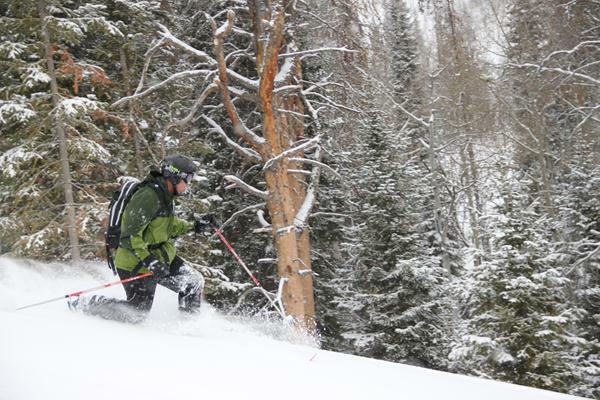 We ventured through glades and intermediate slopes that spilled onto groomed beginner trails. 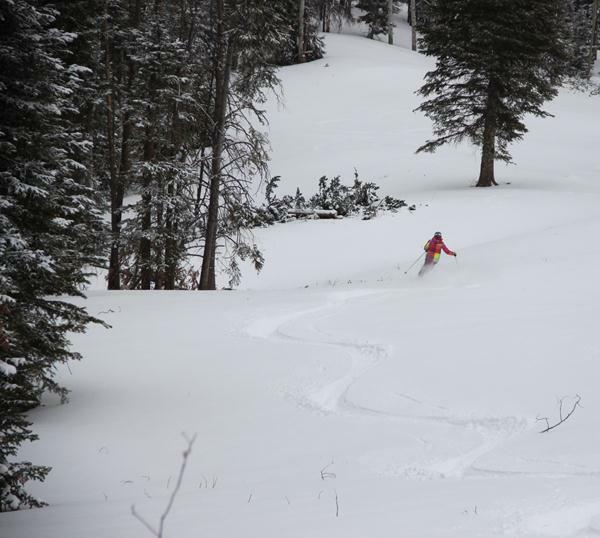 Unlike with other snowcat operations, you truly get the sense that this is your hill. We could spot our line and ski it. We could run it top to bottom, nonstop, if we wanted. And we could say, “Let’s hit it again,” and actually hit it again. The guides were there to make sure we were safe but also got what we came for. We worked five runs before lunch, left the gear on the cat and drove back over to the lodge for a spread of salad, chicken soup, cheeseburgers and fresh-made chocolate chip cookies. I was the only one to head back out after stuffing. Goody. We did four more laps of 1100 vertical in two hours. I could have gotten in more if Matt hadn’t shown up but I was happy to share. There’s no one getting aggro on a trip like this. Inside the Igloo. The exterior is pure vintage homestead cabin. The interior, not.